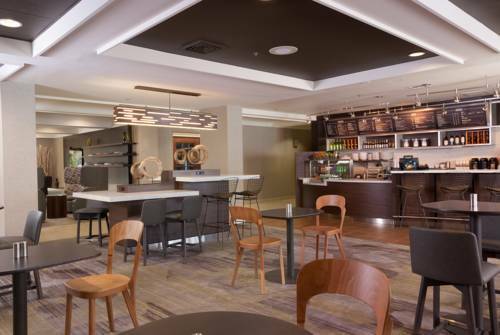 NEWLY REFRESHED Modernly designed with you in mind, our Courtyard by Marriott hotel in Greenville offers guest upgraded guest rooms and amenities, coupled with first class service. A favorite among hotels in Greenville, SC, this hotel is ideal for business travelers, groups, or a leisurely getaway. From the moment you walk through the doors, you are welcomed with true southern hospitality and charm. The Courtyard Greenville offers guests complimentary parking, high-speed wireless internet, business services, and a state of the art 24/7 fitness center. Start and end your day right and enjoy the convenience of a delicious meal at our new Courtyard Bistro. You will soon realize why return guests consider our hotel their home away from home.Whether it is work or fun that brings you to Greenville, SC, you will find the hotel is just minutes to all Greenville has to offer; Peace Center for the Arts, Michelin, BMW, ICAR campus, Greenville Spartanburg Airport plus fantastic dining downtown.